After raking in more than $545 million in theaters this fall, fans can get ready to bring The Martian home on Digital HD later this month. Fox Home Entertainment has provided us with a new TV spot that reveals The Martian will be released on Digital HD December 22, before Blu-ray 3D, Blu-ray and DVD January 12. 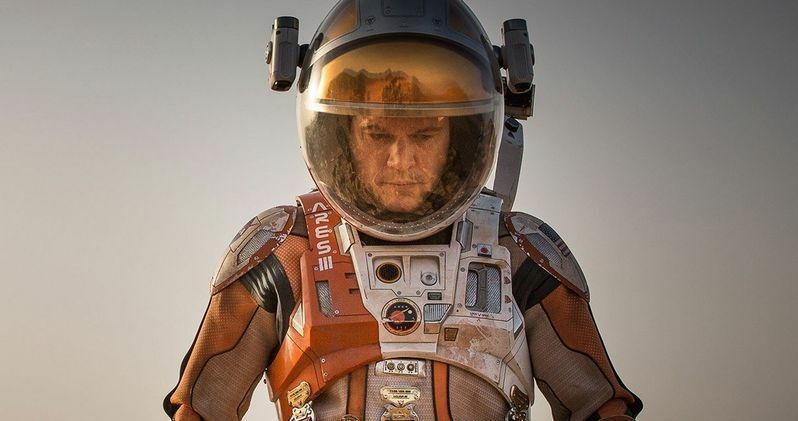 This trailer reveals part of Mark Watney's (Matt Damon) harrowing journey as he tries to make it back to Earth after being left for dead on the Red Planet. Millions of miles away, NASA and a team of international scientists work tirelessly to bring "the Martian" home, while his crewmates concurrently plot a daring, if not impossible rescue mission. As these stories of incredible bravery unfold, the world comes together to root for Watney's safe return. Based on a best-selling novel, and helmed by master director Ridley Scott, The Martian features a star studded cast that includes Jessica Chastain, Kristen Wiig, Kate Mara, Michael Peña, Jeff Daniels, Chiwetel Ejiofor, Sean Bean and Donald Glover. Yesterday, the National Board of Review named The Martian as one of their top 10 films of the year, while Matt Damon, Ridley Scott and Drew Goddard took home awards for Best Actor, Best Director and Best Adapted screenplay, respectively. We'll have to wait until mid-January to see if The Martian lands any Oscar nominations, which certainly seems possible given the large amount of critical acclaim this sci-fi drama has been receiving. The Martian has taken in $218.6 million domestically, making it the sixth highest grossing movie of the year. Fox Home Entertainment hasn't announced any special features details yet for The Martian, but we keep you posted as soon as any updates are released. Will you be picking up The Martian on Blu-ray, DVD or Digital HD? Let us know what you think after checking out this new TV spot.